Many people have made the claim that they need to own guns to protect themselves, that they can’t leave it to police to protect them, the enormous assumption being that a gun actually does offer some protection. There are a number of scholarly works to test that assertion. A longitudinal study by Johns Hopkins and Berkeley published in 2015 the American Journal of Public Health shows that Connecticut’s Permit to Purchase law reduced firearm homicide by 40%. A separate Johns Hopkins study showed that firearm suicide rates in Connecticut dropped 15.4% after that law was passed, while Missouri’s firearm suicide rate increased by 16.1% after they repealed gun control legislation. There was also a lower than expected overall suicide rate in Connecticut. Missouri also saw a 25% increase in homicides after their background check law was repealed. An earlier CDC study published in 2004 in the Journal of American Epidemiology showed that simply having a gun in the home, regardless of how it is stored, increases the odds of death by firearm by a factor of 1.9. A more recent meta-study by Harvard researchers in the Annals of Internal Medicine showed an increase risk of both suicide and homicide in homes where guns are present. In particular, that study found that homicide victimization rates were slightly higher for those who had guns in their homes than those who did not. 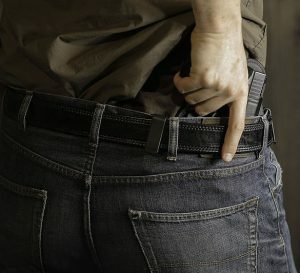 A 2011 CMU study did show that having a gun in the home seems to deter certain planned crimes such as burglary, but has no effect for unplanned crimes. Furthermore, it showed that only having a gun in the home does not provide the deterrence, but that this fact needs to be somehow brought to the attention of the burglar. Summing up: studies thus far demonstrate that having a gun in the house increases the chances of someone in that house dying by firearm, it increases the risk of suicide, and it does not prevent a crime of passion, although it may deter a burglary. More analysis is needed. It is likely, for instance, that the type of gun matters. A lot of studies are needed about open carry laws. Still, if you think a gun offers you any sort of protection against others, consider the risks. Much focus has been given on the condition of Congresswoman Gabrielle Giffords, after she was shot by Jared Loughner. But she was by no means the only victim, nor did she fare the worst. The Philadelphia Inquirer notes that former Phillies manager Dallas Green lost a granddaughter, Christina-Taylor Green. She was nine years old, and in third grade. Her story itself is remarkable, and her tragic death would outrage any human. It is too easy to dismiss as the work of one troubled boy. While others might call him evil and dismiss this as an isolated act, he had a whole lot of help from our society to get to the point where a nine year old girl and nineteen others would die. My thoughts are with her family and the families of those who died. I have yet to read the opinion of the Court as to the reasoning of this week’s 2nd amendment ruling, but let’s discuss just one point. 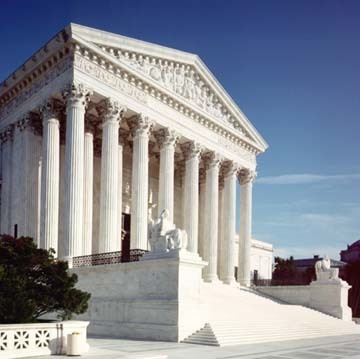 Four justices earlier were upset that the court upheld Habeus Corpus, and the clear basis of their argument was not strict construction, but rather fear of attack. Those same four justices plus Justice Kennedy made use of strict construction in the DC opinion. That to me says that at least those four justices are perfectly comfortable with our government “defending” us against others, but they’re not comfortable with the government defending us against each other. Put another way, we can abuse others as much as we want, but heaven forbid we wish to assert government authority against our own citizenry.